Knowing what can happen and where to next? 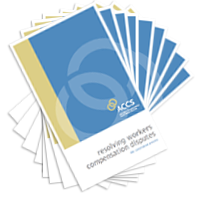 Conciliation Service helps resolve workers compensation disputes between workers and employers. Guide to how to lodge a Request for Conciliation and being represented at conference. Being prepared and knowing your responsibilities is an important step in the process. Important information and downloads, including our booklet in other languages. It is important that you come to your Conciliation Conference prepared to share your views and listen to other points of view on the dispute.You should be prepared to speak about why you disagree with the decision about your claim. You may want to make notes to help you remember important points. WorkSafe Agents and Self Insurers are required to come to the Conciliation Conference. As the face of the decision maker you must be able to explain the decision that has been made and what information or material was considered in making that decision. The ACCS encourages all parties to a dispute to attend and participate in the conciliation process. You should contact your WorkSafe Agent to discuss your attendance at the conciliation conference and what information you may need to provide.